An Orientation Session has been Organised by Registrar office to welcomer newly Appointed Academic & Administrative Staff on 11 March 2019. The worthy Vice Chancellor Dr. Dilnawaz Ahmed Gardezi honoured the session. The top management of the University attended the ceremony. The ceremony started with the recitation from the Holy Quran by Hafiz Akram. After that new employees introduced themselves one by one. Then Dr. Faheem Ghazanfar, Registrar UOKAJK welcomed new staff and told them that now you are part of the university team. After that, he demonstrated the Structure, rules and regulations of University. He emphasized to observe the full duty hours, hard work, and do positive contribution to uplift the standard of the University. Then Dr. Ghulam Nabi, Director QEC welcomed new employees and talked on Governance and Governing bodies of the University. He emphasized to work with obedience, honesty and integrity. The worthy Vice Chancellor of the UOKAJK warmly welcomed and congratulated the newly appointed staff. 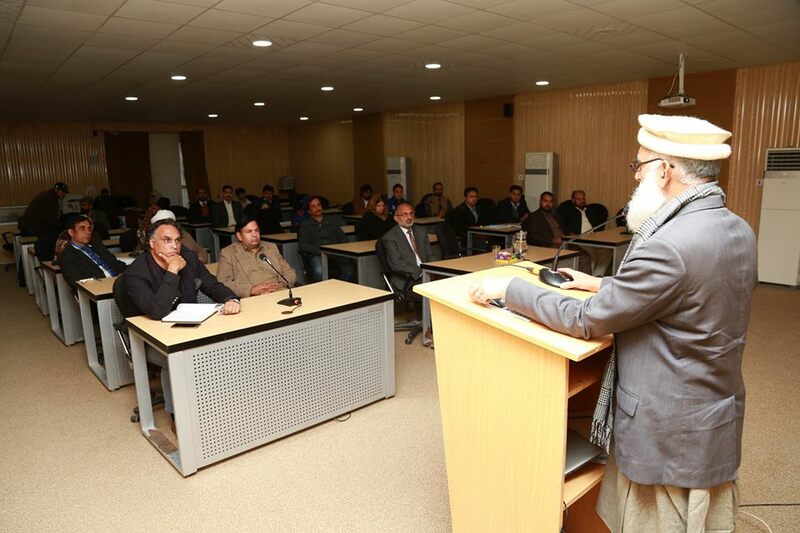 He highlighted the importance of the Teaching profession and job in Higher Education Institution. Moreover, he emphasised that the best and sacred profession in this world is teaching. Our Prophet (P.B.U.H) was also a Teacher. There is a need to follow the teachings of Quran and Sunnah. He motivated new employees to work with devotion, sincerity honesty, dedication and integrity.